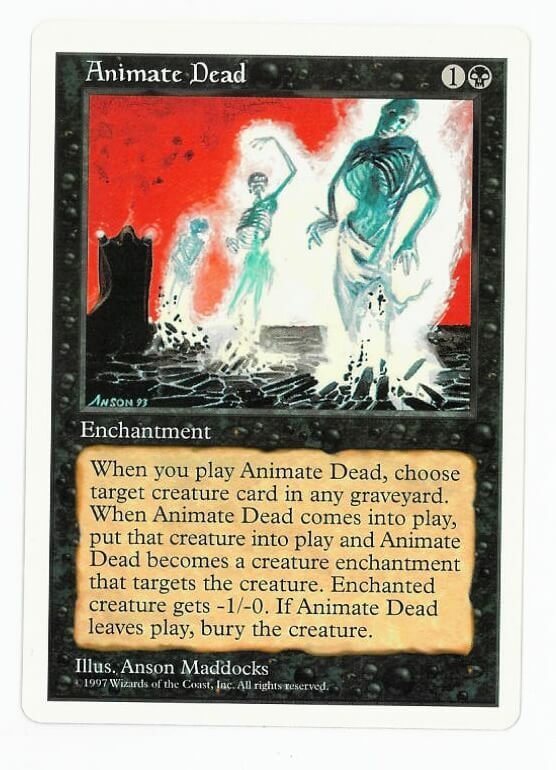 When you play Animate Dead, choose target creature card in any graveyard. When Animate Dead comes into play, put that creature into play and Animate Dead becomes a creature enchantment that targets the creature. Enchanted creature gets -1/-0. If Animate Dead leaves play, bury the creature.